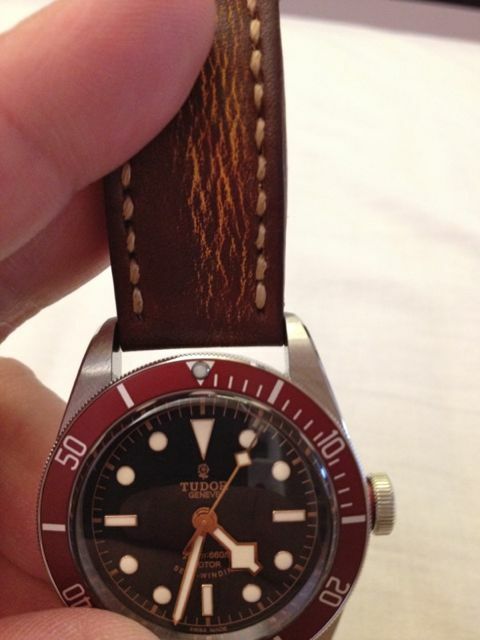 The Black Bay with the original leather strap. 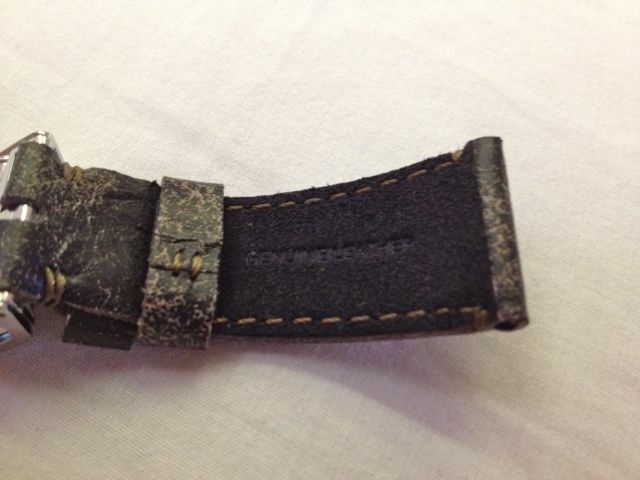 The straps removed. 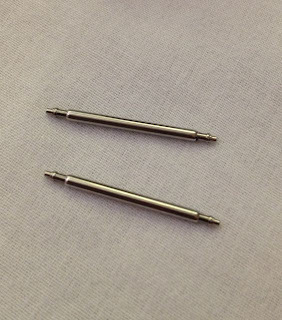 I do love the deployment. 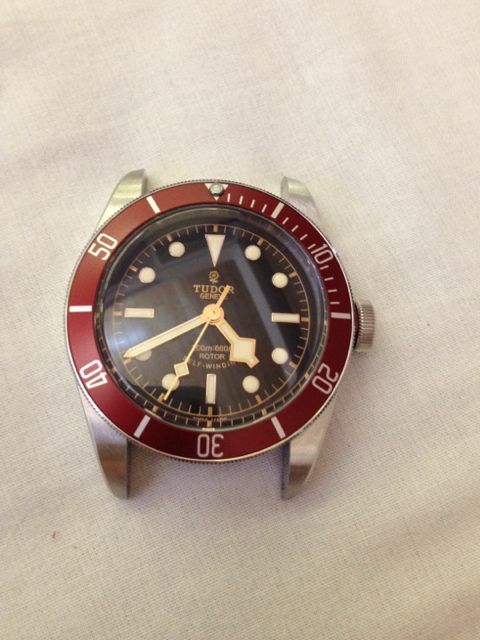 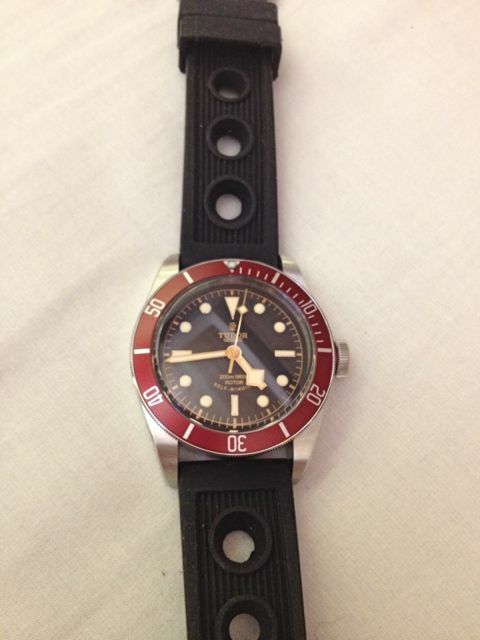 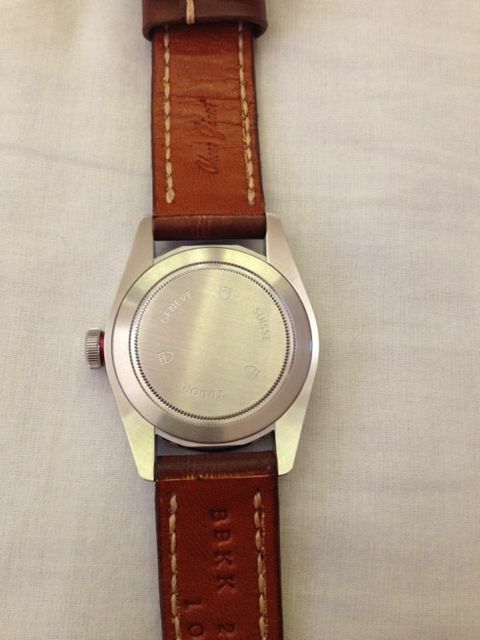 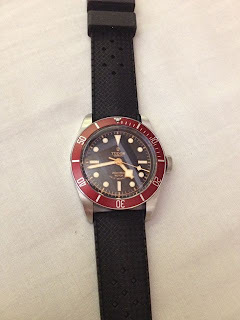 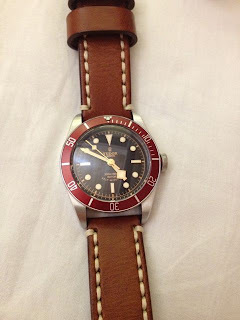 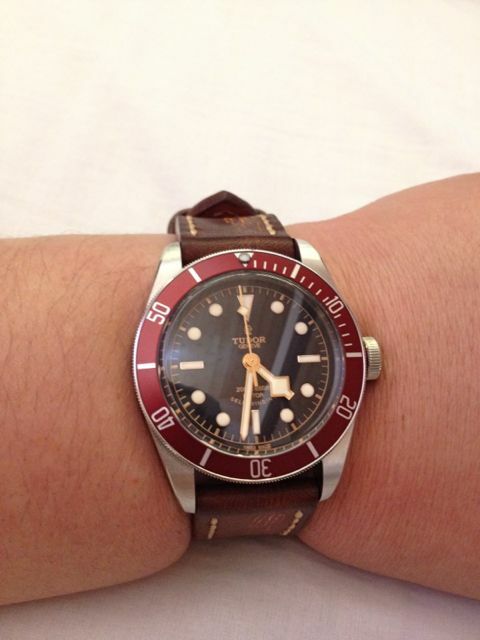 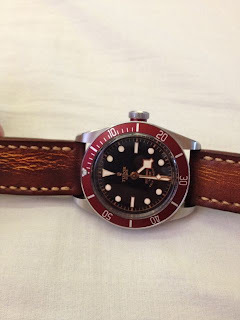 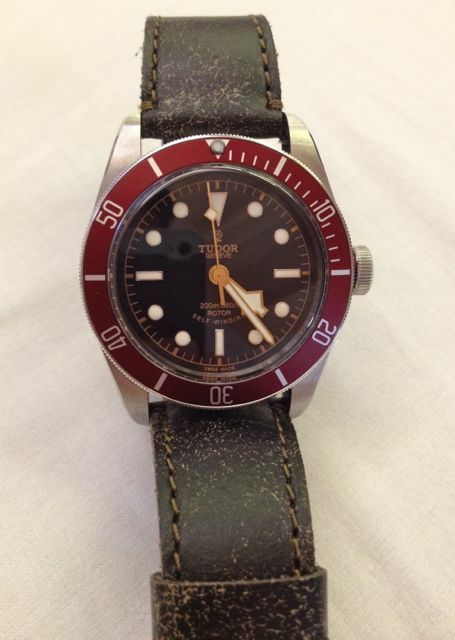 The Black bay on a distressed brown strap from Cheergiant. 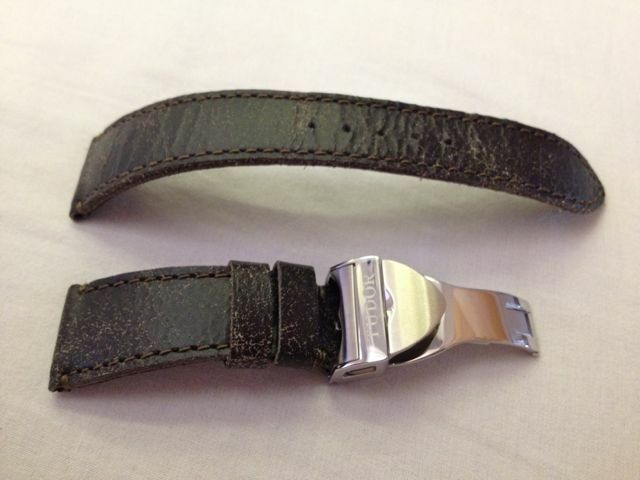 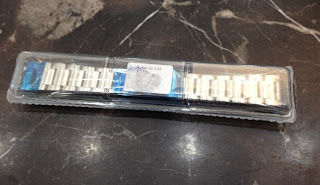 The second 'bbkk' strap. 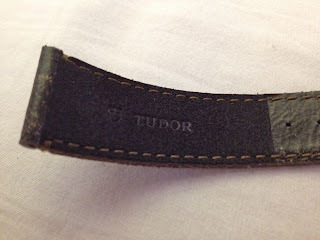 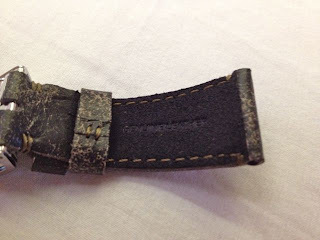 The gap between the edge of the leather strap and the watch. I understand that some people are concerned about the gap. 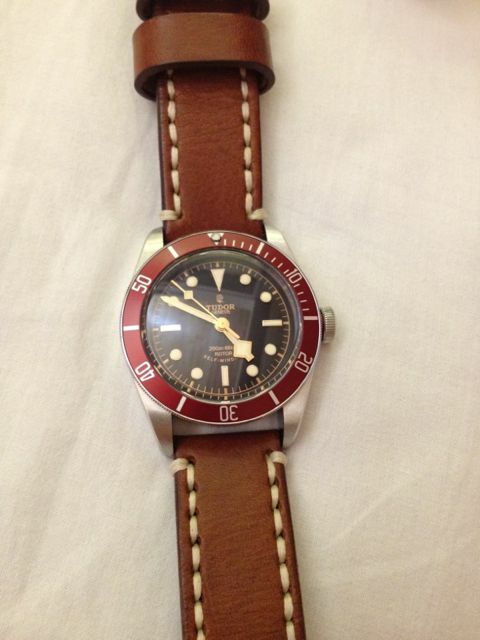 On a normal locally produced brown strap.